If you are an internet savvy, these will probably be good news for you. 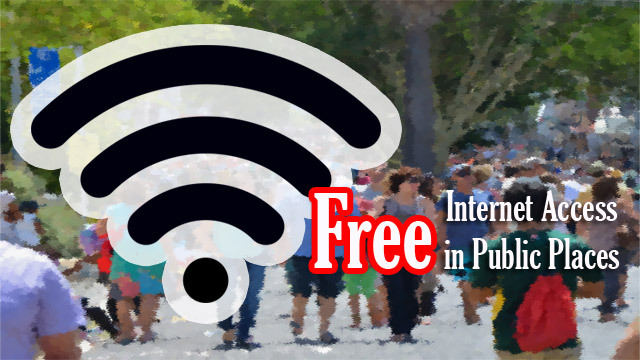 President Duterte signed the Republic Act 10929 or Free Internet Access in Public Places Act where the Filipino citizens will have the benefit to have free internet in public areas throughout the country. At this day and age, people nowadays rely thru the internet to search a variety of information. According to the Department of Information and Communications Technology (DICT) public places under this law are as follows: National and local government offices; public basic education institutions, universities and colleges; public airports and seaports; public transport terminals; public parks, libraries, plazas and barangay reading centers; and public hospitals, health centers and rural health units. DICT is task to make sure that each wifi users will have a minimum internet speed of 2 Mbps. In the National Broadband Plan, the goal for each user will experience up to 10 Mbps in the year 2020. These law however will prohibit users who will search pornographic websites. As a social media capital in the world, it is an amazing feat that our country is one of the most active internet users even though we have the lowest internet speed in Asia Pacific compared to other territories but there is still hope. According to a report by Akamai, an internet monitoring group, Philippines has a potential to have better internet connectivity because of the efforts from the government. Meanwhile the Kabataan Partylist praise the new law and suggest that telecom duopoly need to be investigated to have a better internet speed across the country. Few netizens had mixed reactions with this like OFW_Ako who stated that before we celebrate, is our IT infrastructure mature and robust enough to achieve high availability factor? While user avatar said that before some complain, it’s better that the administration is doing something to improve the internet speed than nothing.